Sitting on the eastern bank of the River Wey at its meeting point with the River Thames, Weybridge is a town in Surrey’s Elmbridge district. It has a population of approximately 15,000 and a thriving property market with some lovely housing in the area. At My Home Move Conveyancing we’ve been improving our knowledge of markets like the one in Weybridge since 2001, enabling us to bring our clients in the town a specialist, fixed fee conveyancing service. When buying or selling property in Weybridge, you need to instruct property lawyers to complete the legal work on your behalf. 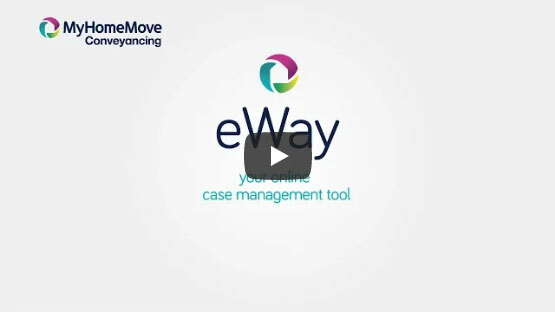 My Home Move Conveyancing offers our clients in Weybridge an award winning level of customer service, advanced use of technology and intimate knowledge of the local market. There are no nasty hidden costs with our passionate, friendly conveyancing service, which helps us to build up trust with our clients. Choose us as your Weybridge conveyancers, and if you don’t end up completing for some reason, you won’t have to pay us a thing in legal fees thanks to our ‘no completion – no fee’ policy. We’ll assign you a dedicated conveyancer who’ll take care of all aspects of your case from start to finish. You’ll have a consistent point of contact who’s prepared go the extra mile for you, as well as regular progress updates and online access to your account 24 hours a day. At My Home Move Conveyancing we’re proud to provide our conveyancing services in Weybridge to help in the purchase of a variety of homes across the area, whether you want to be in the town centre, near the train station to the south, or in a neighbourhood like Oatlands Park or Addlestone. The average house price in the Elmbridge district is £600,535, while the overall average sale price in Weybridge over the last year was significantly higher than this at £737,171. Most sales in this period involved flats, which went for an average of £424,427. Detached houses sold for £1,370,284 and terraced properties fetched £577,756. Mentioned as ‘Webrige’ in the Domesday Book of 1086, Weybridge remained a small village until the late 18th century. The town’s railway station opened in 1838, which led to a period of growth for Weybridge. The modern settlement retains a small town feel, although there are plenty of shops, bars and cafes along the High Street. One of Weybridge’s major draws is its proximity to London. There are trains to the English capital’s Waterloo station which take just 35 minutes, making it a great place to live for commuters to the city. The M25 and M3 motorways are just a short drive away, while Heathrow Airport is only around eight miles away when it’s time to go on holiday. There are some excellent schools in the local area for families with children to choose between, including St Charles Borromeo Catholic Primary, Cleves School and St James CofE for younger pupils. Heathside School, which has a sixth form attached, is the only secondary school in Weybridge itself, but the town’s also served by St George’s College in Addlestone. All properties in Weybridge will fall within one of the following council tax bands.